Just for once, it's a question with a right answer! If we get more than five right answers, we will put names into a hat. Name all seven ravens currently living at the Tower of London. November's guest is very special. Not only is he a History Boy, he is the only guest we've ever had who lives inside one of the oldest historical spots in the UK. Meet Chris Skaife, a modest man with a very unusual job, who has recently become a bit of a media star. You'll find out why below. 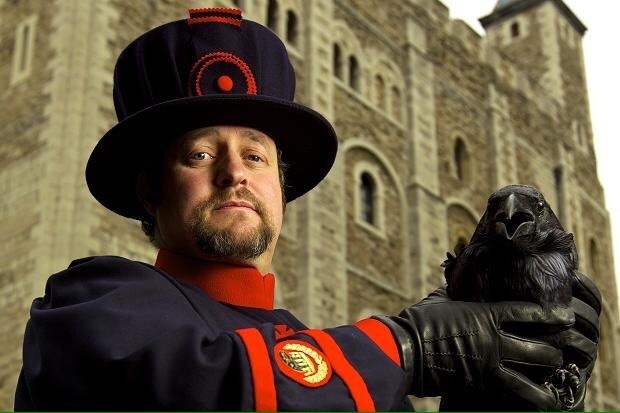 Before becoming Yeoman Warder and Ravenmaster at the Tower of London, Chistopher Skaife served in the British Army for twenty-four years, during which time he became a Drum Major as part of a specialist machine gun platoon. He has been featured on the BBC, the History Channel, PBS, BuzzFeed, Slate, and other media. He lives at the Tower with his wife, his daughter, and, of course, the ravens. Follow him on Twitter at @ravenmaster1. I have what is often described as the oddest job in Britain. My name is Chris Skaife and I am the Ravenmaster at the Tower of London. My official title is Yeoman Warder Christopher Skaife, of Her Majesty’s Royal Palace and Fortress the Tower of London, and member of the Sovereign’s Body Guard of the Yeoman Guard Extraordinary – that’s quite a mouthful, isn’t it! All of us Yeoman Warders are former servicemen and women with at least twenty-two years of unblemished service. We are the ceremonial guardians of the Tower of London. In principle we’re responsible for looking after any prisoners at the Tower and safeguarding the Crown Jewels. In practice, we act as tour guides and as custodians of the rituals of the Tower. 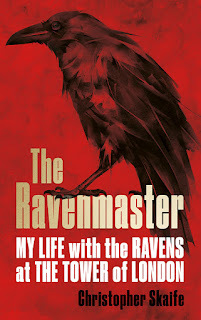 As the Ravenmaster, I have the added responsibility for the safety, security and welfare of the ravens in my care. Without the ravens, so the legend goes, the Tower itself will crumble into dust and great harm will befall the kingdom. 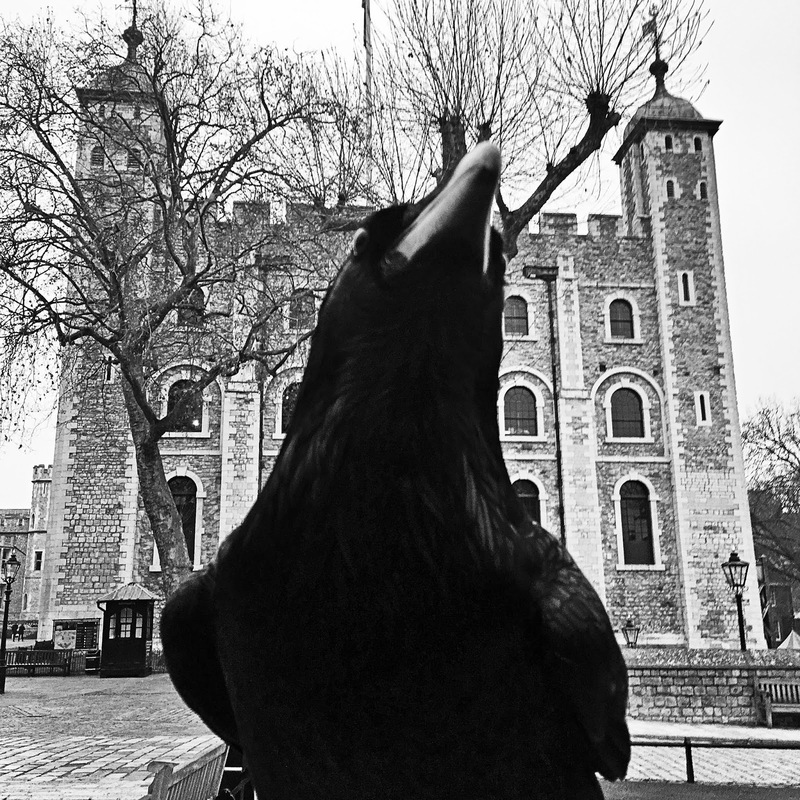 The legend of the ravens at the Tower of London is as strange and perplexing in its way as any of the great legends of the raven from around the world. What follows is my take on the legend of the ravens at the Tower. The story goes that Charles II was once visiting the Tower of London after the restoration of the monarchy to survey a new building. At the time, a young astronomer named John Flamsteed was using a room in the round turret house at the top of the White Tower for his observations of the stars and the moon, but he had found that the nesting ravens rather obstructed his view and interfered with his work. Flamsteed asked Charles II if he might be able to get rid of “ those confounded ravens.” Charles, being a decent sort of a king, readily agreed, until someone pointed out that the birds had always been at the Tower and were an important symbol of the city and the monarchy and that getting rid of them would therefore seem like rather a bad omen. Mindful no doubt that both the city and the monarchy had had a bit of a run of bad luck recently, what with his father Charles I having been executed and there having been a terrible plague in London in 1665 and then the Great Fire of London in 1666, Charles promptly issued a royal decree, commanding that instead of banishing the birds, at least six ravens should be kept at the Tower forevermore. But in all my research over the years, assisted by the incredible resources of the Tower’s library and my archives, in all the years I’ve been looking and searching, and with all the experts I’ve consulted. I have been able to find no mention whatsoever of the legend of the ravens at the Tower before the late nineteenth century. Let me just say that again, no mention of the legend of the ravens at the Tower until the late nineteenth century. Nothing, nada, zilch. Not a croak. Nothing about Charles II and his decree. Nothing about Flamsteed and the confounded ravens. Nothing about the kingdom falling if the ravens should ever leave the Tower. The truth is that there was no Royal Decree protecting the ravens issued by Charles II, though there was admittedly a Royal Warrant issued in June 1675, which provided John Flamsteed, who became the first Royal Astronomer, with the funding to set up a proper observatory in Greenwich. So it’s possible that the confounded ravens played a small part in the history of astronomy and navigation in this country simply by being so bloody annoying that Flamsteed had to move out to Greenwich to get away from them! 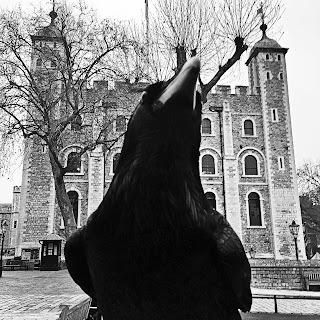 Not only is there no evidence of ravens having played an important part in the history of the Tower before the late nineteenth century, there is barely any mention of the ravens at the Tower in the historical records before then at all. Take the old Authorised Guide to the Tower of London by W. J. Loftie published in its second edition in 1888. Any mention of the ravens? No, Nothing. The ever popular and magisterial Her Majesty’s Tower, by William Hepworth Dixon, first published in 1869? Nothing. Even William Benham’s The Tower of London, published in 1906, mentions not the mighty raven. One of the first official Tower guidebooks to mention the birds is Colonel E. H. Carkeet- James’s His Majesty’s Tower of London, which wasn’t published until 1950, and even then the birds are seen largely as an annoyance. As far as I’ve been able to ascertain, from my own research and from the work of various historians and scholars, the first significant depiction of the ravens at the Tower wasn’t until 1883 in an article in the Pictorial World newspaper on July 14, which has a drawing of what certainly looks like a raven by the entrance to the Chapel of St. Peter ad Vincula, near the plaque commemorating the executions on Tower Green. In the same year there was also a children’s book, London Town, by Felix Leigh, illustrated by Thomas Crane and Ellen Houghton, which tells the story, in verse, of a young girl named Prue touring London with her parents. The book includes a drawing of Prue and her parents at the Tower, observing a little girl outside Beauchamp Tower, looking rather frightened at the sight of two ravens and clinging to a Yeoman Warder. The text accompanying the drawing seems to be the first significant mention of the ravens at the Tower. Has, you will notice, attracted Prue. some fine old ravens are strutting about. you will know the ravens next time, no doubt. Is called a Beefeater— fancy that! A child by his side who is round and fat. After Prue and her parents, the accounts of the ravens at the Tower start to proliferate… There is raven contagion! “For many years past two or three ravens have usually been kept at the Tower of London.” And so the stories begin to grow. You can see the beginnings of the legend of the ravens growing and blossoming before your very eyes in the work of Major-General Sir George Younghusband, of the Guides Cavalry, a formidable soldier who served in the Second Afghan War, the Mahdist War, the Third Burmese War, the Second Boer War, and the First World War, and who was appointed Keeper of the Jewel House at the Tower in 1917. In his book The Tower from Within, Younghusband provides a comprehensive guide to life at the Tower, its history and traditions as understood at the beginning of the twentieth century. "Round and about the site of the ancient scaffold, or sitting silent on a bench nearby, may be seen the historic ravens of the Tower. No doubt when forests grew close up to the moat the turrets of the old Tower made an ideal place in which ravens could build their nests, and rear future generations of Tower ravens. But as the city grew around and the forests receded, and with them fields for forage, the ravens would no longer nest or breed in their old haunts. They have therefore since then from time to time had to be replaced by new blood from outside. The present birds were given to the Tower by Lord Dunraven, and one of them is now of considerable age. It would be of historic interest if those whose ancestors have suffered at the Tower would send from their homes successors to the old ravens, as they die off, and thus maintain a very old tradition in a manner well in keeping." "Walking about on the Tower Green, or perhaps perched on the steps of the White Tower, may be seen a few ravens, three or four, sometimes five. These are the Ravens of the Tower and as much part of it as are the Yeomen Warders. What their origin may have been is lost in the mists of antiquity, but possibly when the Tower stood alone— a rock- like edifice amidst the fields and forests which then surrounded it— ravens built their nests in its high turrets. An historian mentions that they were gazing on the scene when Queen Anne Boleyn was executed. Perhaps after the ravens ceased to nest in such unquiet surroundings as the Tower they formed part of the menagerie maintained by Kings of England in the Tower as one of their regal fancies. Whatever their origin may have been, they are now maintained on the strength of the garrison… are duly enlisted— having an attestation card as has a soldier— and daily receive their ration of raw meat and other delicacies issued by the Yeoman Warder in whose charge they are placed. [. 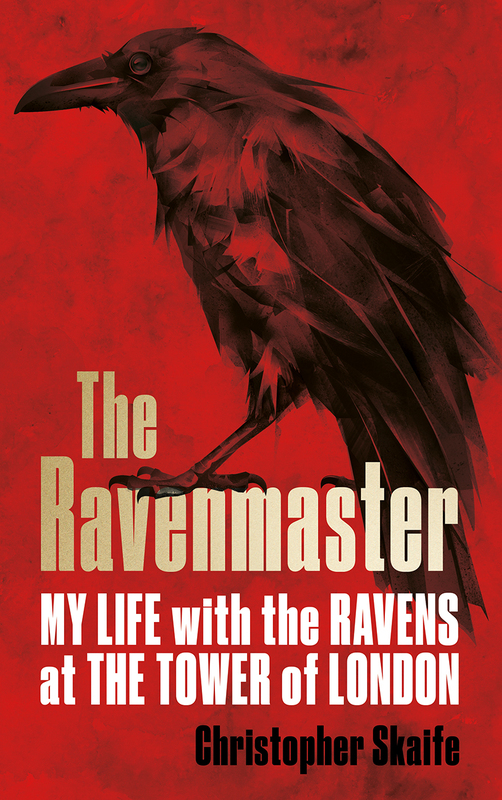 . .] A whole chapter could be filled with stories about the Tower Ravens and their adventures and escapades and amusements, and these can be gathered from any of the kindly Yeoman Warders whom the visitor may meet, but here unhappily there is no more space for them." Personally, I have no doubt that ravens have long been present here. The White Tower was for many centuries one of the tallest buildings in London, and what with Smithfield Market nearby, and the amount of rubbish and decaying flesh that would anyway have been bobbing its way downstream in the River Thames, the Tower would have been an ideal spot for ravens to congregate and nest. In a letter written by Sir Walter Raleigh to Robert Cecil, 1st Viscount Cranborne, in the winter of 1604–1605, while he was imprisoned in the Bloody Tower, Raleigh implores his friend to “save this quarter which remaineth from the ravens of this time which feed on all things.” Poor Sir Walter was clearly having a bad day when he wrote the letter, though the good news is that he survived his imprisonment in the Tower and was in fact pardoned by the King in 1617 and granted permission to go off in search of El Dorado — though he was then admittedly beheaded in the Old Palace Yard at the Palace of Westminster in 1618! Anyway, his plea to Robert Cecil to save his wasted body from the ravens suggests that there were indeed ravens in and around the Tower at the time. What we know for sure is that the ravens only became a notable and remarkable feature at the Tower sometime in the late 1800s. Perhaps it was simply because the raven population throughout the rest of the country had declined so sharply having been hunted down and killed as vermin that the few remaining birds at the Tower became worthy of comment. Here’s what I think happened. This is the unproven and untested Skaife Theory about the creation of the legend of the ravens at the Tower, derived from many years of research and experience working at the Tower: you could also call it the Yeoman Warder Theory. The Yeoman Warder Theory is based on an understanding not only of the nature and behaviour of the ravens, but also on the nature and behaviour of human beings. The Yeoman Warder Theory is that it was the Yeoman Warders themselves who had a hand in inventing the legend of the ravens at the Tower and probably for their own profit. Imagine the scene: It’s the 1880s. The Tower has begun opening its gates to ever greater numbers of the general public, to the great unwashed, accepting paying visitors to the most notorious prison and fortress in the land, with its gruesome history of murder, executions, and torture. And here you are among them— washed, unwashed, whatever— waiting in anticipation for the Tower’s ancient wooden gates to open and your Beefeater guide to meet you. Slowly the gates begin to part, creaking and groaning from almost a thousand years of use. From behind the great gate appears an old man leaning on a twisted wooden cane, wearing a dirty dark blue uniform decorated with scarlet and braid, an odd medal or two pinned to his chest. On his head is a curious hat, set at a jaunty angle. There’s a strong whiff of gin and stale tobacco about him. You hand over your coin, he shoves it in his pocket, and then he turns and hobbles back inside the Tower. “Follow me!” he cries. “And keep up!” So you enter through the gates and follow him as he begins to recount his dreadful tales of the Tower’s history. He scowls. And so it goes— the deeper you penetrate inside the Tower, the deeper his pockets are filled with your hard- earned cash. Until at last, at the scaffold site on Tower Green, the old Yeoman Warder claims actually to have seen the ghost of Anne Boleyn! And to have heard the pitiful whimpers of the two boy princes murdered deep within the Bloody Tower. And to himself have felt the shudders as the murdered Queens of England laid down their heads and the sharp edge of cold metal fell upon their dainty necks! And there—he points finally, triumphantly are the ravens, reminders of our dark past, souls of the departed, the very souls of those who were executed on the private scaffold site on Tower Green! What a way to enhance the story! Living, breathing representations of the life of the Tower. And all it would have taken would have been to trim the feathers of a few ravens and feed them the occasional scraps and that’ll be another penny, Madam! Thanks so much for visiting, Chris, and telling us your convincing theory! Followers – don't forget to visit tomorrow, when you'll get an opportunity to win a copy of Chris's book. 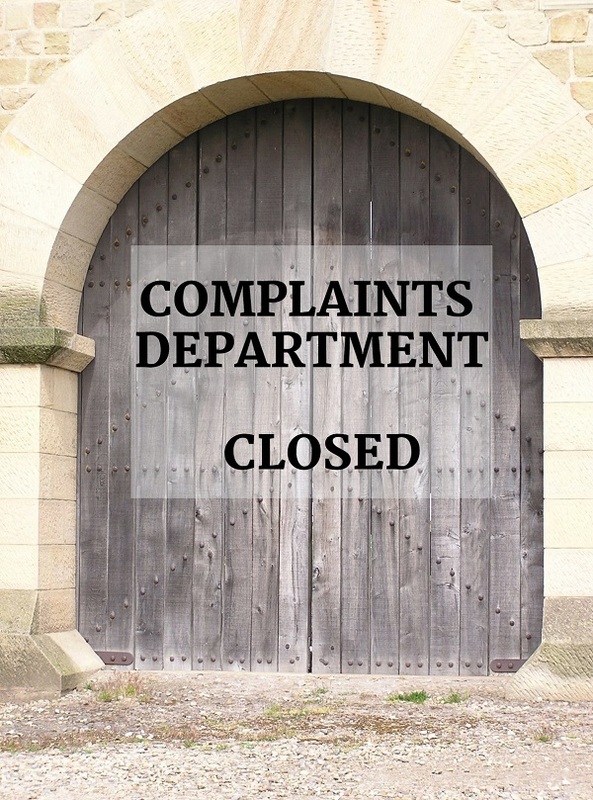 If you’ve ever been left on the phone listening to tinny music and assurances that “Your call is very important to us,” then spare a thought for the outraged trader whose draft letter of complaint turned up near Hadrian’s Wall a few years ago. Parts of the letter are missing but there’s enough to piece together most of the story. The man seems to have got into a fracas with some soldiers who threatened to tip his goods down the drain, and subsequently beat him with sticks. When he objected, they beat him again. 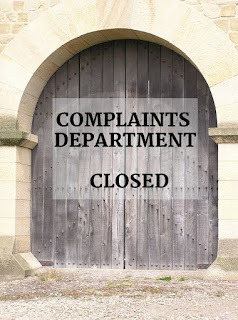 Then, to make matters worse, nobody wanted to listen to his complaint. He tried the men’s Commanding Officer, but the great man was off sick. He tried the Commanding Officer’s assistant but got nowhere. He tried various other centurions, but none of them wanted to know - and finally he’d had enough. We don’t know exactly which “Your majesty” the letter was intended for, but Hadrian was touring Britain at about the time it was written and, since in theory any citizen could appeal to the Emperor, it’s possible that the victim decided to go right to the top. As he explained, he was not only an innocent man with a good reputation, but a man from overseas. And now he’d been beaten until he bled, as if he were some sort of criminal! It’s hardly surprising that he claimed to be innocent and honest, but the third reason for his outrage is more interesting – he was an expat. He was more or less saying, “I’m one of your own people!” as opposed to being a native Briton. Giving a beating to a Briton, he implied, would have been perfectly acceptable. There are long decades of history during which we know very little of how the Britons and the Romans rubbed along together. British names appear in trading documents (and on curses!) from the relatively peaceful south of England, but the military letters that have turned up on Hadrian’s Wall barely mention the locals. There’s a disparaging report on their fighting skills that refers to them as “wretched little Brits” (Brittunculi), but that’s about it. There is other evidence, though. The other day I did one of my on-the-way-to-somewhere-else whistlestop tours of a museum – the sort where I rush around glancing at my watch, taking hundreds of photos and not stopping to read anything. Suddenly the rush came to a halt. I was in the Corinium museum in Cirencester, but wasn’t that the same tombstone I’d seen at Corbridge, miles away on Hadrian’s Wall? It wasn’t until I got home and compared the photos that I realized it was the same design, but commemorated a different cavalryman. I’ve no idea how many stones there are like this, but here are the ones honouring (from left to right) Dannicus, Genialis and Candidus. 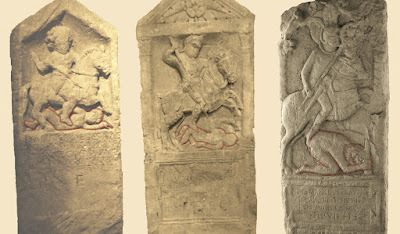 Each man is shown valiantly brandishing a weapon from the back of a prancing horse. You have to look a little more closely to spot the natives. In case you can’t make them out, I’ve highlighted them in red below. Greater minds than mine may be able to tell you if they represent the fallen from a specific battle or just generic barbarians, but either way, it’s pretty clear where Candidus’s boot is pointing. Hardly a design calculated to win the hearts and minds of the locals in an occupied country. So did our outraged expat get justice, or was he left to seethe at being beaten like a lowly native? We don’t know. All we have is a draft of the letter, so perhaps a fair copy reached the Emperor and justice was done. On the other hand, that draft was found in the quarters of a centurion – so maybe it was intercepted before it got anywhere, and all the man got for his trouble was another beating. 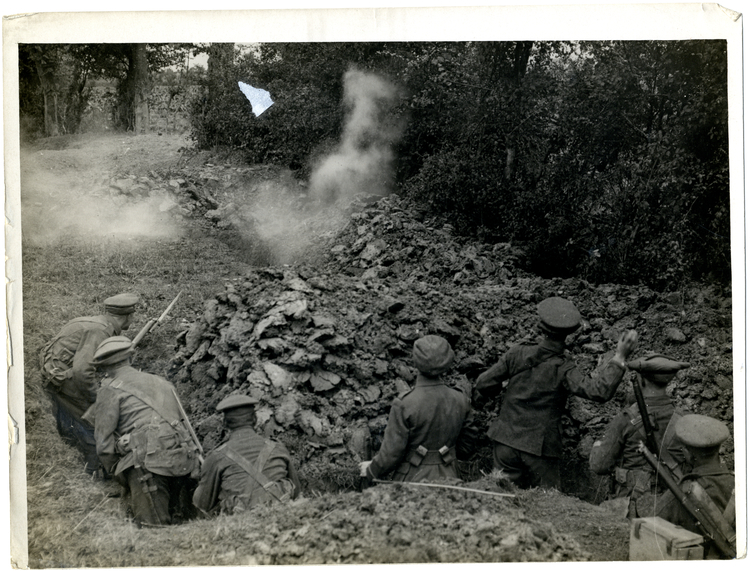 During the last four years we have seen the First World War from many angles. But how did the French see it? A few years ago I found two large-format bound volumes of the magazine L’Illustration in the street with a notice ‘Take Me’. Being an obedient citizen, I did. And then wondered what to do with them. Now I am glad I did not throw them out. 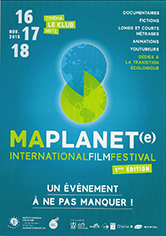 My school French can read the titles and the subject matter but not the detail. So I share with you some of the 100s of illustrations, drawn and photographed. ...and refugee children from the North hope for morsels of food. Aeroplanes were a new weapon of war..
...but the French Army relied on donkeys for transport in the trenches. ...and reinforcements from the 43rd Battalion of Senegal. L’Illustration dealt with subjects other than war, including the dangers of high heels (with X-Rays of damaged ankles to prove it); how to bottle apples; and the Russian Revolution (the editor of L’Illustration did not seem to like the Bolsheviks). In December 1918, advertisements reappeared on the back page. At the end of the war, there were celebrations across France. Nearly 130,000 prisoners were taken at La Somme in August 1918. 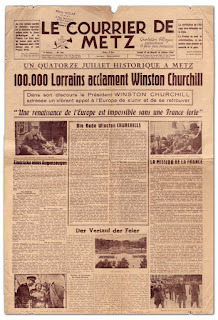 ..while a surprised 'America' glares at a conquered 'Germany'. 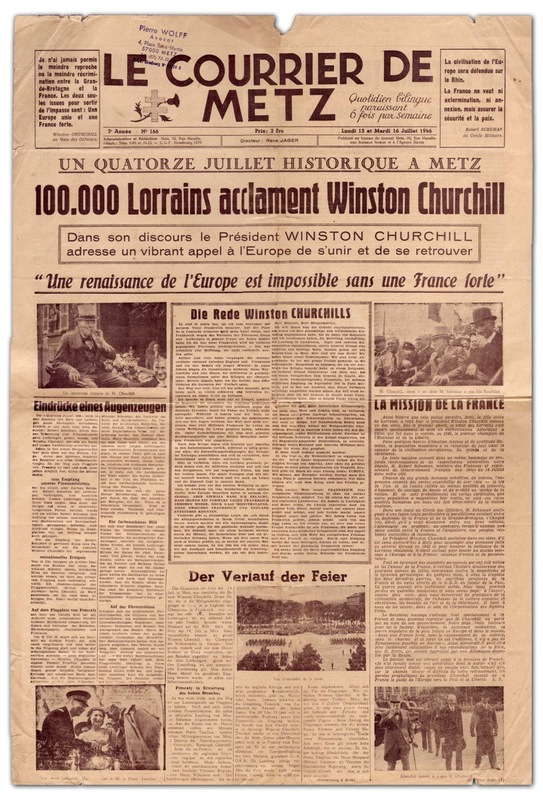 The British Prime Minister Lloyd George was awarded a double-page portrait on the last page of L'Illustration 1918. From the glitz and yachts of Cannes it’s a fifteen minute boat ride to the tiny, idyllic island of St Honorat, one of the astonishingly unspoilt Lerins islands. On a sunny afternoon in late October it was almost deserted and we walked around its coastline in about forty minutes; clean blue water and rocks on our left and, on the other side, vineyards, rosemary bushes, jasmine, olive and pine trees, all of which gave out a deliciously intoxicating perfume. No hotels, cars or bikes are allowed on the island. We passed a few small ruined buildings, a well restored fort and a World War Two gun emplacement before we came to a simple church surrounded by beautifully tended gardens. 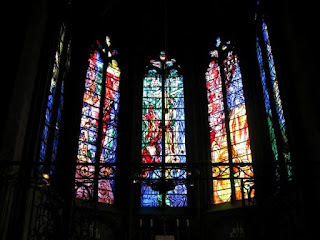 There’s also a gourmet restaurant and a shop selling wine, liqueur and chocolate (at Côte d'Azur prices) made by the Cistercian monks who live in the monastery. There are now about thirty and we passed a few of them, dressed in cream and black robes and sandals, looking busy and healthy. The vines in the centre of the island are protected from the salty sea air by a fringe of pine trees. A large colony of pheasants shares this romantic island with the monks and, apparently, eat many of the Chardonnay grapes used to make the monks’ famous wines. The tourist brochures claim that monks have lived on this island since the 5th century but in fact there have been periods when they had to leave. 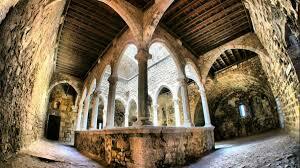 St Honorat has had a turbulent history although it feels so sheltered and peaceful now. 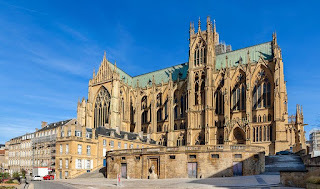 The monastery was founded by Honoratus, the son of a Roman consul, who converted to Christianity as a young man and later became Archbishop of Arles. He intended to live as a hermit on his remote island but was soon joined by disciples. According to legend, the island wasn’t always so hospitable. When Honoratus first arrived, it was overgrown by a dense forest full of poisonous snakes and spiders. After Honoratus and the other monks finished building their first monastery a tidal wave hit the island, obligingly washing away all these obnoxious creatures but leaving the monks safe in their stone tower,. This had become "an immense monastery" by 427, according to a contemporary writer. Patrick, the patron saint of Ireland, is thought to have studied at the monastery in the fifth century. St Honorat is rather like Lyndisfarne, in that it became a great centre of religion and culture after the Roman Empire collapsed (but it has a much better climate). The monks were constantly attacked by Saracen pirates and in about 732 many of the community, including the abbot, Saint Porcarius, were massacred. In medieval times, many pilgrims came to the island, attracted by its beauty and by La vie de Saint Honorat, a popular book by Raymond Féraud , who is variously described as both a monk and a troubadour. The fortified monastery was magnificently restored by Viollet-le-Duc in the 19th century. For centuries the monks needed to defend themselves because their island was in an important strategic position. This tower was built over many centuries , beginning in 1073, as a place of refuge for the monks in case of sudden attack. 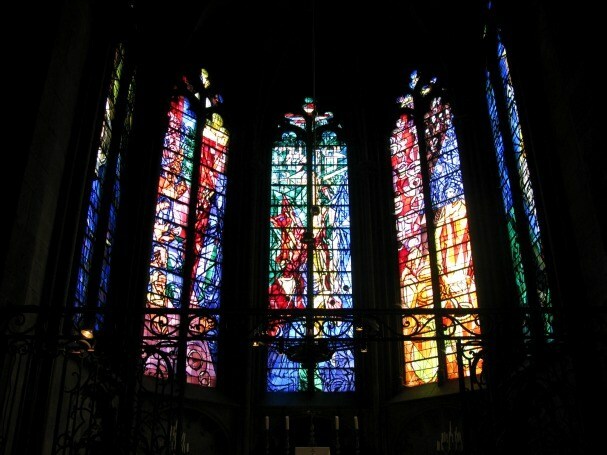 Inside, there are cloisters and chapels. 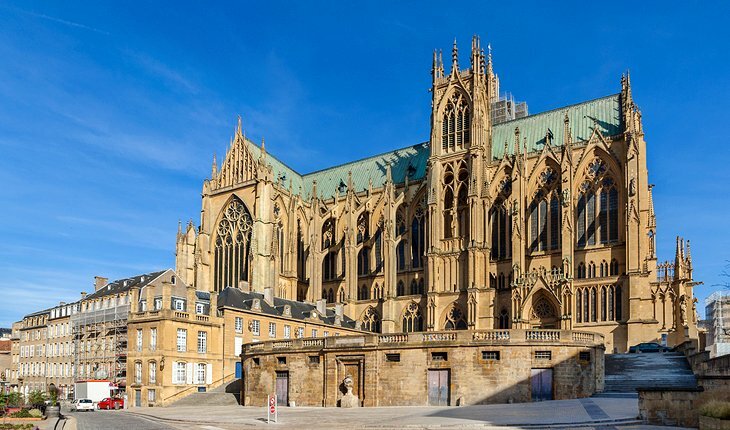 At the end of the 15th century, the monumental center of the abbey shifted to this Monastery Tower and later the upper floors were occupied by soldiers who came on the orders of the king to defend the coastline. During the sixteenth and seventeenth centuries the island played an important role, in the wars between France and Spain. In 1635 St Honorat was captured by the Spanish and the monks were expelled but returned from exile two years later when the island was retaken by the French. The monastery continued to be attacked by the Spanish and the Genoese and the number of monks dwindled to four. One of the ruined buildings we passed on our walk was a Napoleonic oven used for heating cannon balls to a high temperature. 1707 the Lérins Islands were captured and occupied by the English navy, under the command of Sir Cloudesley Shovell. After the French Revolution the church and monastery were deconsecrated and the island was sold to a wealthy actress from Paris,Mademoiselle de Sainval . She lived there for twenty years and is thought to have been a lover of the painter Fragonard, who lived in Grasse, up in the hills behind Cannes. In 1859 the island was bought by the Bishop of Fréjus, who established the present religious community there. Between 1942 and 1945 the Fort was occupied by Italian soldiers, and then by the German army, who built the gun emplacements we passed on our walk. In 1993 the city of Cannes bought the Fort and made it possible to visit this stunning island. Roger Bigod, Earl of Norfolk is the male protagonist in my novel The Time of Singing - titled For The King's Favor in the United States. I set out to write about him after being made curious by a remark in a reference work mentioning that his career path was in many ways similar to that of the great William Marshal. They were both self-made men, if for different reasons. Both had clawed their way up Fortune's ladder. Both had been born in troubled times and had cut their political teeth at the courts of the Angevin kings and their familiars, Each of them was to marry an heiress in the king's gift, and wield great power that would help to shape England's future. So, what was Roger Bigod's story? What kind of man was he, and what sort of life did he live? Roger's ancestors followed their overlord to England and settled there, although they still held onto their Norman lands. Roger's grandfather, also called Roger, was one of the mainstays of the Norman government. Although not at this stage made the Earl of Norfolk, he was sheriff of the county and was apportioned vast lands there and in Suffolk and Essex. The Bigod family (pronounced Bee-go) basically became the rulers of what had once been the kingdom of the East Angles. The first Roger Bigod founded a priory of Cluniac monks at Thetford and built the first castle at Framlingham. He married twice and had three daughters and two sons by his wives. The eldest son, William, was born of the first marriage. The younger son, Hugh, was born to his second wife, Alais. When William drowned in the White Ship disaster the second son, Hugh, inherited everything. Hugh Bigod does not have a good reputation in history. He had an eye to the main chance and a determination to get to the top which left little room for courtesy or finesse. By changing sides to his own advantage he did very well out of the civil war between King Stephen and Empress Matilda and at this time was created Earl of Norfolk. Like his father, Hugh Bigod married twice. His first match was to Juliana de Vere, sister of the Earl of Oxford, and it was from this match that Roger Bigod II was born, probably at Framlingham. 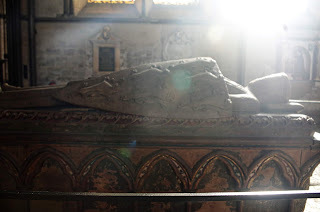 For reasons now unknown, Hugh divorced Juliana at some point before the early 1150's and married instead Gundrada, sister of the Earl of Warwick. By Gundrada, Hugh had two more sons - Hugh and William. Roger, the firstborn, would have been raised at the family home of Framlingham, but would have been without his natural mother from mid-childhood and instead grew up with his stepmother Gundrada and his two half brothers. Roger would have been educated in the knightly arts and those pertaining to the pen. From his later career we know that he had a sound knowledge of the law and was frequently used by the king as a judge on the bench and was familiar with the judicial workings of the country from young manhood. Around the time that young Roger was receiving his grounding in the law, William Marshal was setting out to serve his uncle Patrick, Earl of Salisbury, as a hearth knight in Poitou. In 1173, King Henry's sons rebelled against their father. Roger's own father, Hugh, threw in his lot with the rebels. Henry II had sought to limit Hugh's power in East Anglia and had a built a dominant castle at Orford to oppose Hugh's castles at Framlingham and Bungay. Hugh was disgruntled at this restriction and rebelled against it with his sword. Roger Bigod took a different path to his father and remained loyal to King Henry. It seems rather ironic that Hugh of Norfolk, now well into his seventies, supported Henry's heirs, whereas Roger, a young man, threw in his lot with the Henry II. We don't know when Roger and Hugh parted company, but father and son ended up on opposite sides of the divide. I suspect from what we know from the historical record that it was a case of genuine disagreement between them rather than crafty playing the odds. Matters came to a head as the country rose in rebellion against King Henry. The Earl of Leicester and Hugh of Norfolk forged an alliance and imported Flemish mercenaries to fight for their cause. The royalists, led by the justiciar, Richard de Luci and by Robert de Vere, Earl of Oxford and Roger's uncle, were hard pressed but contained the rebellion. Having defeated and turned back the Scots who had joined in on the rebel side, de Luci turned his troops southwards to deal with the rebels in East Anglia who were now branching out into the Midlands. Roger joined the royalist army as they prepared to meet the advancing rebel contingent at the bridge over the River Lark at Fornham St Genevieve, in October 1176. Roger was given the privilege of bearing the banner of Saint Edmund into battle. The Bigod family owed service to the Abbey of Ste Edmund, which at the time was a major place of pilgrimage with a fabulous shrine covered in beaten silver panels. To bear its banner was a great honour for the young man. The royalist army was outnumbered four to one by the rebels. However, the latter consisted of hired men, many of them out of work Flemish weavers. They were not seasoned troops. To get to the bridge across the River Lark they had to cross marshy ground and the effort split and scattered their forces. In contrast, the core of de Luci's army were hard-bitten troops. They were joined by the locals, who were no more qualified to fight than the weavers, but their homesteads were at risk and they considered the enemy to be foreign parasites. The battle was a disaster for the rebels and a triumph for the royalists. The Earl of Leicester was taken prisoner and so was his wife, Petronella, who is supposed to have been captured wearing a hauberk. 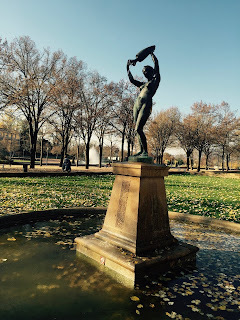 When the royalist men closed in on her, she supposedly stripped her rings and cast them into the river, saying that she would rather thrown them away than have them taken as booty. Following the battle, the rebel leaders were taken prisoner. Roger's father had to pay a fine of 500 marks and the defences at Framlingham, the seat of his earldom, were torn down and his castle at Bungay was seized. A broken old man, he was dead by the spring of 1177. There is a rumour that he died on crusade, but it seems to be unreliable and he likely died at home. The moment he was dead, a dispute arose between his three sons as to who inherited what. Hugh had not divided his lands between them and the whole should have gone to Roger. However, Roger's stepmother contested his right, saying that her own eldest son was due all the land that Hugh Bigod had acquired while he was Earl of Norfolk. The dispute came before King Henry, who played it to his advantage. Although the case was set in motion, he deferred judgement pending further investigation and kept the lands in his own administration. 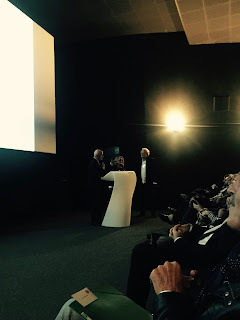 However, recognising in Roger, a dynamic young man who could both fight and administer, he utilised Roger's skills and Roger was often present at court, involved in legal administration and military service. Not to be outdone, his stepmother kept her cause alive by marrying Robert de Glanville, a court lawyer whose brother was the royal justiciar who ruled the country during Henry's absences. Henry refused to grant Roger the Earldom of Norfolk that his father had held. As well as milking the revenues of the earldom for himself, Henry was also being cautious. While he valued Roger, he did not entirely trust him. Having just dealt with the rebellion of his own sons, he was cautious about ambitious young men, especially one that had defied his own father, even if it had been on Henry's side. At this time, Henry had a new young mistress. Her name was Ida de Tosney and she was one of his wards and had probably become Henry's mistress in her mid teens. She bore Henry a son - William Longespee, future Earl of Salisbury. From charter evidence we know that Ida married Roger Bigod around Christmas time 1181. Had Henry grown tired of his poppet and moved on? Was Ida a reward to Roger? Was there a mutual attraction between the young would-be Earl of Norfolk caught in limbo, and this young royal concubine? We cannot say, although I have speculated in my novel The Time of Singing. We do know that Henry released several of the disputed Bigod manors to Roger as part of the bride's marriage portion. It is not recorded what Gundrada and her sons thought of this, but they can hardly have been thrilled about it. What is also known is that Roger and Ida's firstborn son, Hugh, was born within a year of the marriage, which was a fruitful one. 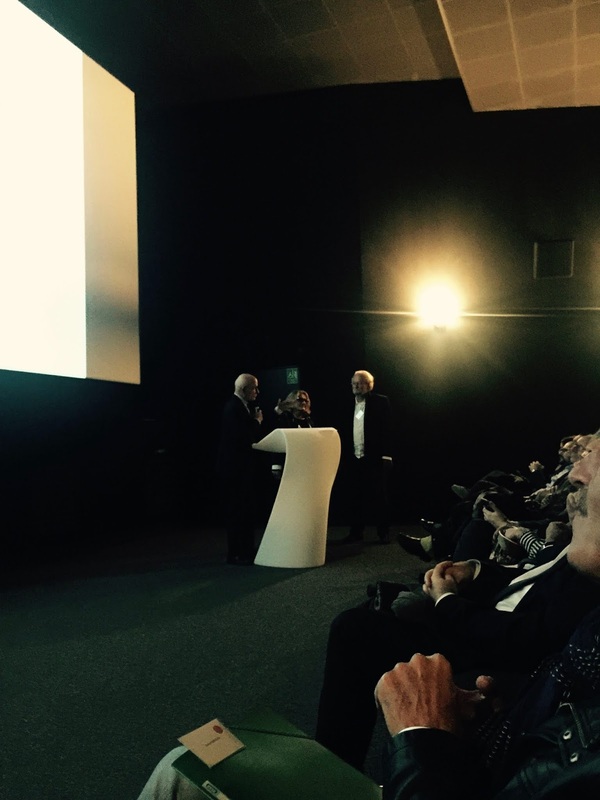 Hugh was joined by siblings Marie and Marguerite, and three more brothers, Roger, William and Ralph. Henry still had no intention of restoring the Earldom of Norfolk to Roger, but continued to work him hard. Toward the end of Henry's reign in 1187, Roger was serving at the King's Court (Curia Regis) at Westminster and hearing pleas. Henry died in 1189 and Richard I became King. Richard needed funds for his crusade and he also needed a firm government to rule the country during his absence. For a payment of a thousand marks he was willing to restore the Earldom of Norfolk to Roger and permit him to rebuild Framlingham Castle. The shell of the castle still stands today with its thirteen great towers. Visitors can also view the remains of the hall where Roger and Ida lived in the early years of their marriage. The second, grander hall, where they lived in the later years of their marriage has largely gone, but small parts remain as a section of the visitor centre. Ed Sheeran's song Castle on the Hill references Framlingham. Once Roger became Earl of Norfolk the hard work began in earnest. Not only did he have a new castle to built and a growing family to raise, but Richard sent him out travelling on the judicial circuit, hearing pleases and making judgements up and down England. The pipe roll of 1190-91 shows him busy in Essex, Hertfordshire, Norfolk, Suffolk, Cambridgeshire, Huntingdonshire and Wiltshire. During this time he was given custody of Hereford Castle. In 1194 he was in Yorkshire, Cumberland, Westmorland and Lancashire. In 1195 he covered nine counties with two more added in 1197. On top of this he had to support the appointed justiciars in Richard's absence and try to keep the peace. The King's brother, John, had made a play for his brother's throne and Richard's chancellor, William Longchamp who was opposing John, was hated by the barons. Roger, together with men such as William Marshal and the Archbishop of Rouen, had to find the strength, the tact and diplomacy to deal with the situation, maintain stability, and manage their own lives. On his way home from crusade, Richard was captured crossing enemy territory in Austria and was taken prisoner by the Emperor of Germany. A great ransom was negotiated but Richard had to provide sureties for the delivery of the ransom installments. Various nobles from England came to his aid and Roger Bigod was on the shipping list. There is no concrete evidence of his actual presence in Germany, but we do know he was preparing to go and it seems likely, given his knowledge of the law. Back in England, Richard discovered that his brother John had risen against him - and then run away to France, leaving his castellans to ride it out as best they could. Richard swiftly dealt with the pockets of rebellion, including one at Nottingham. Roger Bigod was with the King at the taking of Nottingham Castle. When Richard died in 1199 and John came to the throne, Roger offered him his loyalty. He visited Scotland for him as an envoy to King William and was in frequent attendance at court. He helped the town of Ipswich in which he had a firm trading interest, to secure a charter of liberties from John in 1200. For his assistance, Roger was admitted as the first foreign burgess of the town. In token payment he gave one ox, one bull, two quarters of corn and two of malt. For this, he and his heirs were then exempt on paying tolls in the town on the corn and grain reaped on their demesne lands. Roger once again went on the judicial circuit in John's reign in 1201, but this was his final time on Eyre - as the circuit was called. Roger was a cautious, canny operator. His family had always been stewards to the royal family - also known as dapifers. One of Roger's hereditary tasks and of ceremonial prestige, was to set the first dish Before the king at official banquets and also to bear one of the ceremonial swords at the coronation. However, the Earl of Leicester thought he should have this privilege too and disputed the position. Roger had a think and decided to settle the matter amicably. He would renounce the title providing Leicester gave him ten knights' fees. Leicester agreed to do so and Roger gave up the stewardship. He did have some follow-up problems - getting Leicester to agree was the easy bit. Making him disgorge the manors was a different matter entirely. And even after Roger's death in 1221 the dispute rumbled on because Leicester had only paid seven and a half of the fees. In 1207 Roger consolidated his family's prestige by marrying his heir, Hugh, to Mahelt, William Marshal's eldest daughter. When she became the last surviving Marshal child, the title of Marshal came down to her and was passed on to her eldest son, Roger. Throughout the early and mid part of John's reign, Roger served the king faithfully. He answered the summons to battle campaigns, performed necessary stints at court and generally led a steady life. In 1213, the King visited him at Framlingham and all seemed well between them. However, as the political problems facing the King escalated and John's behaviour deteriorated Roger and his eldest son Hugh, has second thoughts about their support. At the time of the Magna Carta crisis in 1215, Roger renounced his support of John and joined the rebel barons. The rebels were probably delighted to have him among their number, because he was a consummate lawyer and could help oversee the wording and drafting of their demands. Why did Roger rebel against King John? Conventional history does not tell us. He didn't change sides until late in the day, but once he made up his mind, he stayed on the opposing side until after John was dead. 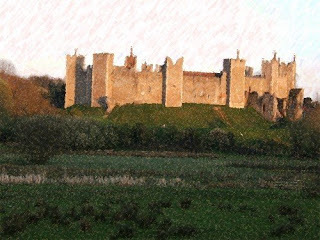 Having turned rebel, he faced both excommunication and hostility toward his magnificent 13 towered castle at Framlingham. Framlingham. The ruins of the hall where Roger and Ida would have lived. Norman chimneys are still in situ. The Royal Army came to Framlingham in March 1216, and prepared to lay siege. Although the castle was a state-of-the-art fortress and the garrison boasted deadly crossbow men among its numbers, Roger obviously preferred not to test his defences, and after only two days, the fortress was yielded to King John by Roger's castellan. Roger himself was in London at the time, because his huntsman and dogs were apparently sent there to join him. Unfortunately, his young grandson was at Framlingham and was taken hostage by King John. This fact didn't bring Roger to heel and he continued in rebellion. John died in October 1216 but Roger did not come to terms of peace with the royalist government until September 1217 when he was finally restored to his earldom and Framlingham was returned to the family. By yielding the castle rather than putting up a fight, Roger secured the inheritance for the next generation. His hostage grandson was also the grandchild of William Marshal and this probably helped to secure the child's safety during the ongoing hostilities, particularly after the Marshals was named regent following John's death. Roger died somewhere between the end of April and August 1221. He was well into his 70s and his son Hugh had taken over many of the duties by then. His wife Ida had predeceased him because there is no mention of any provision being made for her widowhood. It is not known where she is buried. Like his contemporary William Marshal, Roger Bigod has been born into an uncertain times during the regnal battle between Stephen and Matilda. He had learned statecraft at the court of Henry II and survived the often difficult reigns of Richard and John. History leaves us quiet traces of a man capable, firm and honourable. 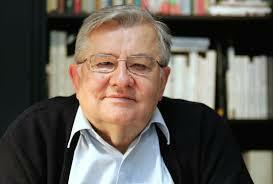 An understated man in his personality, who nevertheless, knew and appreciated the value of display. 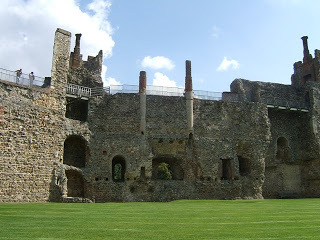 The thirteen towers at Framlingham Castle still stand today and also the remains of the stone hall he shared with Ida, a testament to both traits of Roger's personality unsung but shining. Visitors to the House of Lords will also find his statue looking down from the gallery in the company of William Marshal and his stepson William Longespee among others. His memory can also be found in less exalted places! A short note of reference works. The Bigod family: An Investigation into their Lands and Activities 1066 – 1306. Ph.D. thesis by Susan A.J.Atkin University of Reading. History of William Marshal, volume 2/Anglo Norman text Society. In WW1, the use of weapons such as grenades, flamethrowers and howitzers meant that war was waged on a vicious industrial scale. 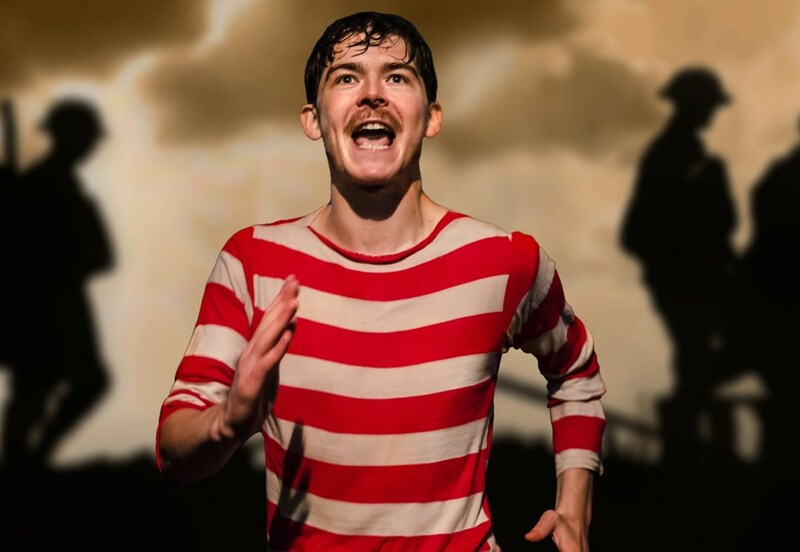 Those lucky enough to survive their injuries were often maimed or facially disfigured and returned to ‘Blighty’ both physically and emotionally scarred. My own great grandfather, who suffered a terrible head wound that required a trepanning operation, was greatly affected by his injury. The metal plate that covered the hole in his skull caused agonising headaches and he became irascible and depressed. Like many returning soldiers, he found it difficult to adapt once more to civilian life. He couldn’t work; his life could not be as it had been before the war. He had seen and experienced too much. He no longer felt like the same person. This sense of lost identity, felt by many returning soldiers, was a subject I wanted to explore in my book ‘The Moon Field’. 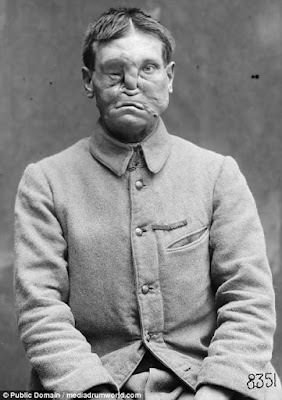 I chose to write about facial disfigurement in particular - what the French called ‘gueules cassées' – broken faces. What could be more apt as a symbol of lost identity than the loss of one’s own familiar face? The public treatment of these war veterans was mixed. In parks, benches were set aside for disfigured soldiers and painted blue so that other people could avoid them. Whilst this may have been a well-intentioned effort to give the men some privacy, it also isolated them further, making them feel as if they were monsters. In my research I came across references to them as ‘droolers’ and stories of job vacancies swiftly withdrawn, café owners ushering the men to seats well away from the windows and even the throwing of stones. In my novel, the character with the broken face retreats to a ‘back room’ job as a cinema projectionist, withdrawing to the safe cocoon of darkness. It was my task, as writer, to take him on a journey back to the light. At the start of the war, before the invention of the techniques that became the forerunners of modern plastic surgery, disfigured men were fitted for masks. The hospital units concerned became known, with gallows humour, as ‘the tin noses shop’. 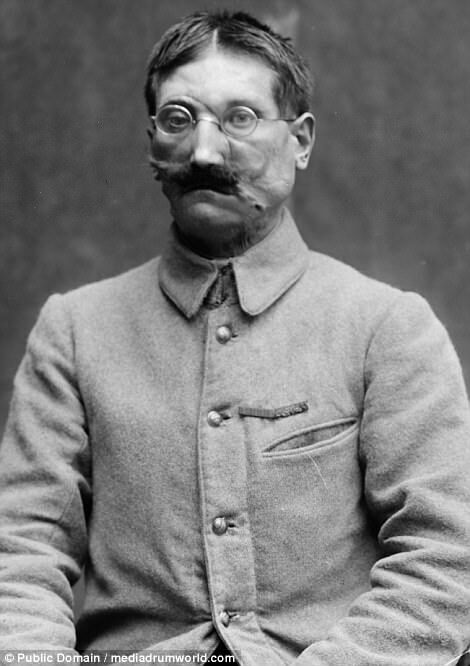 The metal masks could be taken on and off, with arms that fitted over the ears as with spectacles but which were also fixed securely at the back of the head with a wire fastening. Men and women, who had been genteel sculptors who carved statues and fountains before the war, became instead shapers of men’s faces. One such, Anna Coleman Ladd, in a startling juxtaposition of the two worlds, described the galvanised copper of a mask as being ‘as thin as a visiting card’. They took enormous care to make the masks realistic: real hairs were laid on one at a time to make the eyebrows; the man’s skin tones were matched as nearly as possible and even a slight blue was added to replicate the effect of a ‘five o’clock shadow’. 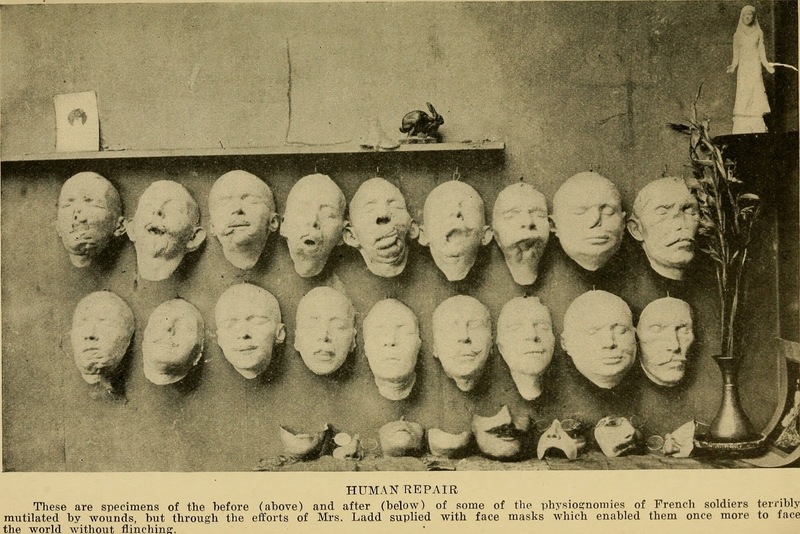 Making a mask began with laying bandages soaked in plaster across the face to make a cast. Holes were left at the nostrils for the patient to breathe through but nonetheless it was a rather suffocating experience that had to be carefully timed, as the plaster became hot as it dried. A clay ‘squeeze’ would then be taken from the cast and the sculptor would copy the ‘good’ side of the face to create a mirror image, so that the mask modelled on it would restore the symmetry of the face. For men who had been so badly disfigured that they experienced people recoiling from them, sometimes even their own children running from them in fear, having a mask could return to them some dignity. Despite the fact that their expression was inevitably fixed and ‘doll-like’, being able to show the world a recognisably human face meant that they had the freedom to go out in public again. I found it heartbreakingly poignant to read the words of a grateful patient, in a letter sent to Mrs Ladd: ‘My wife no longer finds me an object of revulsion, as she had every right to do’. Some men who wore masks were able to return gradually to a more socially integrated life, particularly when supported by close family. Others seemed to create new ‘families’ through congregating with others who had been similarly damaged: a community was set up in France by the Union des Blessés de la Face (the Union of the Facially Wounded) where disfigured men turned away from the outside world and lived and farmed together. At last, new identities were forged and the men often felt that their mask became so much a part of them that they asked, in their wills, to be buried in them. 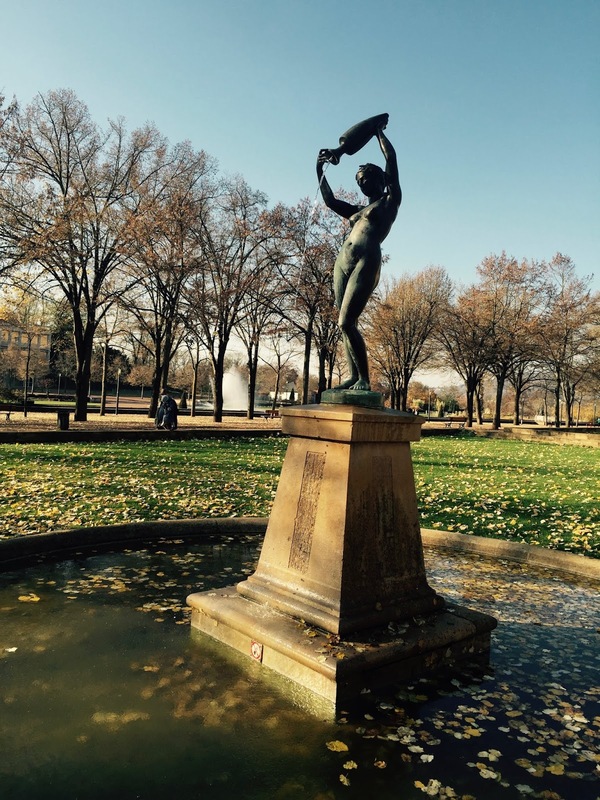 November's commemorations of the end of World War One have had a particular poignancy this year. Not only is it the centenary but the hundreds of acts of remembrance have taken place against a backdrop of Brexit and the break-up of Europe, possibly also the break-up of the Union. 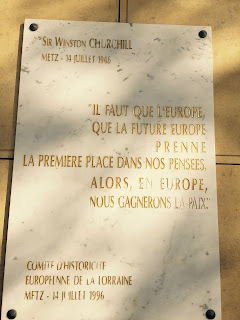 This isn't the place to get political but, for those of us with strong connections to our wider European community, there were extra reasons to shed tears this month as we watched the nations coming together to lay their wreathes. It seemed fitting therefore that I got a chance to see Neil McPherson's wonderful play It Is Easy To Be Dead, recently in Glasgow. This tells the story of forgotten war poet Charles Hamilton Sorley who was born in Aberdeen, educated at Marlborough and killed, aged 20, at the Battle of Loos in October 1915. In his very short life he wrote 38 poems, spurred on, in his own words by his mother's "badgering". 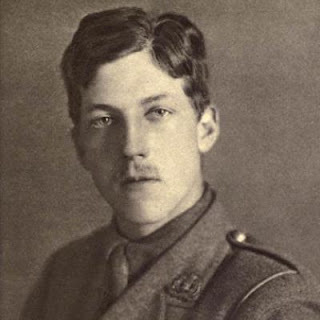 Although his name is included on the War Poets' memorial in Westminster Abbey, you'll rarely find him mentioned now, or taught, but at his death the Poet Laureate John Masefield called Sorley "potentially the greatest poet lost to us in that war". 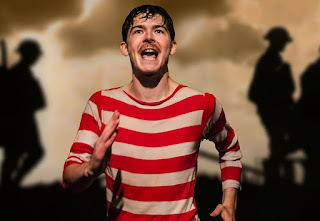 The title of the play, It Is Easy To Be Dead, comes from perhaps Sorley's best known poem and his last one: When You See Millions of the Mouthless Dead. It was written shortly before his death and found with his kit. It is a beautiful poem; that a twenty-year old had learned to be so aware of the reality of war and the ultimate futility of weeping for the dead makes it a heart-breaking one. Sorley didn't live to see what came next - as we remember those who died in a frighteningly divided world, let's hope we don't live to regret what's coming next for us.